It will be hard for IO Interactive to deliver on that claim after the poor reception that Kane and Lynch: Dead Men received two years ago. Dead Men already contained a lot of profanity and violence, so I’m curious to see how IO puts a “fresh perspective” on “intensity.” Maybe they added a new gun that, instead of bullets, fires babies that curse as much as possible before exploding on contact. Actually, that would clash with the realism goal. Kane and Lynch 2: Dog Days also features “a new visual experience” that “is inspired by documentary filmmakers and the user-generated era.” If the two new videos on the Kane and Lynch website are any indication, this new visual experience will be rough and raw, security camera style. I just hope that part about the “user-generated era” doesn’t have anything to do with YouTube. Since documentary filmmakers create films that document real events. 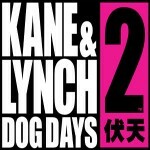 Is IO Interactive trying to tell us that Kane and Lynch 2: Dog Days is based on a true story? Or are they just preparing us for a lot of camera shake? Introducing a new visual experience, Kane & Lynch 2: Dog Days is inspired by documentary filmmakers and the user-generated era. Every aspect of the game has been designed to deliver a fresh perspective to the words ‘intensity’ and ‘realism’ in video games.